Food trucks h ave been trendy lately especially in Des Moines. They have been popping up in the area and there are now more than 20 in Des Moines. Des Moines recently approved a new pilot program that requires vendors to license their truck with the city. This program has four different zones that trucks are allowed to park. This program is supposed to make it easier for trucks to serve the Des Moines area. 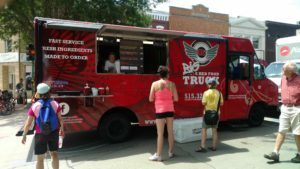 Sean Gleason, the owner of Gastro Grub food truck and Shon Bruellman, the owner of The Big Red Food truck, both said the fees to serve in Des Moines where a little over $2,000 and that is not including fees for inspections, insurance and more. He says there are a lot of advantages to owning a food truck; Food truck owners are self-employed and they get to make all the decisions for their company. This means they get to pick what they feel is going to be the best food to make for their customers. 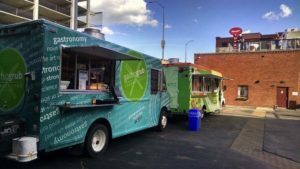 Last year with food trucks increasing in popularity there were events like the Food Truck Show Down where food trucks gathered downtown to serve Des Moines. Food trucks are also seen at the farmer’s markets in the area, most events downtown. Bruellman said that they purchased the Frontier Shack in Madrid at The Flat Tire Lounge. The Big Red Food truck will be found there on the bike trail a lot. 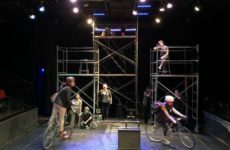 He plans to also attend events in Des Moines including the Art Festival, World Food Fair and maybe even a day or two at RAGBRAI. Des Moines where food trucks can park. Gleason mentioned that Gastro Grub is regularly found at the Valley Junction Farmers Market in West Des Moines. 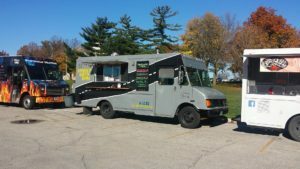 Some of the local food trucks have set up partnerships with places like Confluence, a brewery in Des Moines. Byrd says his favorite thing to serve are his poutines which are a Canadian dish that consist of fries and cheese curds topped usually with light brown gravy. Byrd says that he has several “guest” poutines this season with different topping in addition to the fries and cheese curds. slaw, shredded cheese and their homemade chipotle aioli and crème freche. Byrd, Gleason, and Bruellman all use social media to get the word out on where he is going to be located, they use the traditional Facebook, Twitter and Instagram but both Bruellman and Byrd use an app called Klickle. 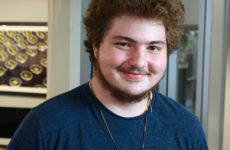 Klickle was actually developed here in Des Moines and is a social media site that allows Food truck owners to give up-to-date locations and menu items. It actually displays the food trucks logo on the map which makes them easier to find and removes them from the map after closing time. Kickle is similar to other social media apps except instead of following friends and celebrities, people follow businesses that they are interested in. The app is free to people who want to list their business as well as people who want to find businesses. An upgrade, which recently became available, does cost money. It is also used for restaurants, bars and retail. Klickle takes the hassle away from locating your favorite food trucks, and in the process you are supporting an app developed in this state. In the coming months, keep a lookout for new food trucks serving the Des Moines area.